Today’s EC Photo of the Day comes from Lisa Lee, who’s shooting some fun candids at the Georgia On My Mind circuit that’s currently underway in Conyers, GA. During the show, a couple also had their wedding at the fairgrounds. 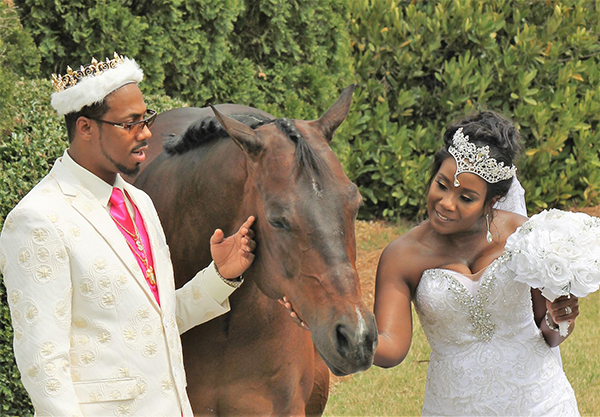 The bride decided she’d like to have her photo taken with horse, so Cary Chasteen volunteered the services of her American Quarter Horse, Cowboy Kruzer! If you have a great EC Photo of the Day, email B.Bevis@EquineChronicle.com.